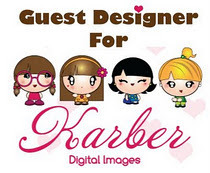 Lovin The Life I Color: Blog Hop with Karen Burniston Products and Dark Room Door Stamps! 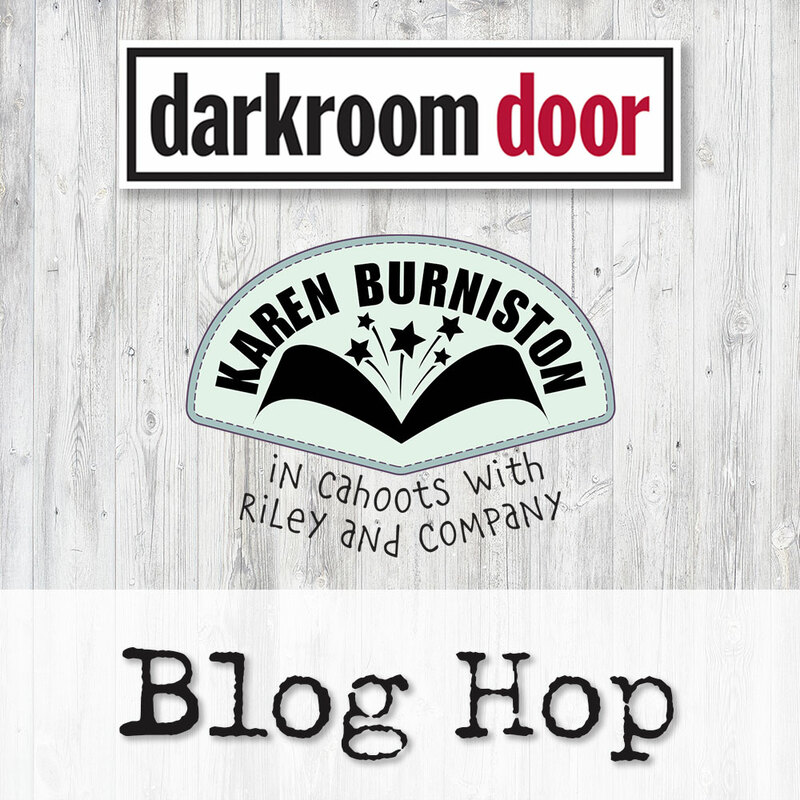 Hi, Welcome to the Blog Hop With Darkroom Door and Karen Burniston in Cahoots With Riley and Company! You should have arrived here from Connie Mercer's Blog . 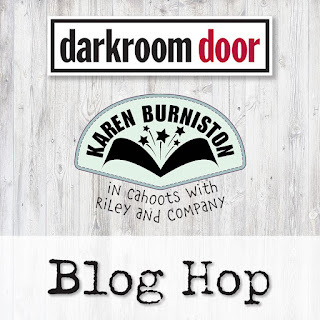 "Both Darkroom Door and Karen Burniston will be giving away a prize packs, with winners randomly chosen from ALL of the blog hop comments received by Sunday, July 29th, 2014. Lots of chances to win some goodies, so just leave a comment on this post or any other blog hop post to enter!" If you get lost a long the way head to the Darkroom Door blog for the Hop List. The first card I have for you today used the Coffee Time Stamp set by Darkroom door and the Coffee Cup Pop Up by Karen Burniston all supplies used will be linked t the end of my post. These stamps and dies went together just perfectly....LOVE LOVE LOVE them! Below is a closer view of the Cup! I chose tho use this set as it reminded me so much of the Spirograph set I played with for hours and hours when I was young. My supplies are linked below! Thank you for hopping with us and be sure and leave a comment for a chance to with a prize!! Super fun coffee card! I can't wait to use those dies! Pretty hello card too! Love how the coffee cup pops out! When I saw your card, I was thinking the same thing about the spirograph! I loved that when I was a kid. I just love the way you put these cards together. 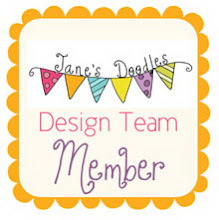 It is so much fun seeing how everyone uses the dies and stamps together and come up with such fantastic ideas. Love your cards..always inspires me to dig into my stamps!! OMgosh, that coffee pop up card is the cutest one I've seen! I don't drink coffee myself, but I know many people who do and would love a card like this! The spiral flower card looks super fun! The coffee card is perfection on every level! lovely. The 'hello' card is so happy! Love the coffee...I need another cup! Great cards! The second one brought back memories of playing with my Spirograph as a child. and a very sweet friends card. Wow! These are great! I remember spiro-graph as a kid too, that card took me there! I loved the coffe one too. I like how well the stamps & dies work together! Such fun cards! I love the stamps you used along with the dies! Such awesome card formats! Love that Circle Charm Pop-Up! The stamps and dies are meant to use together! How beautiful are your cards. 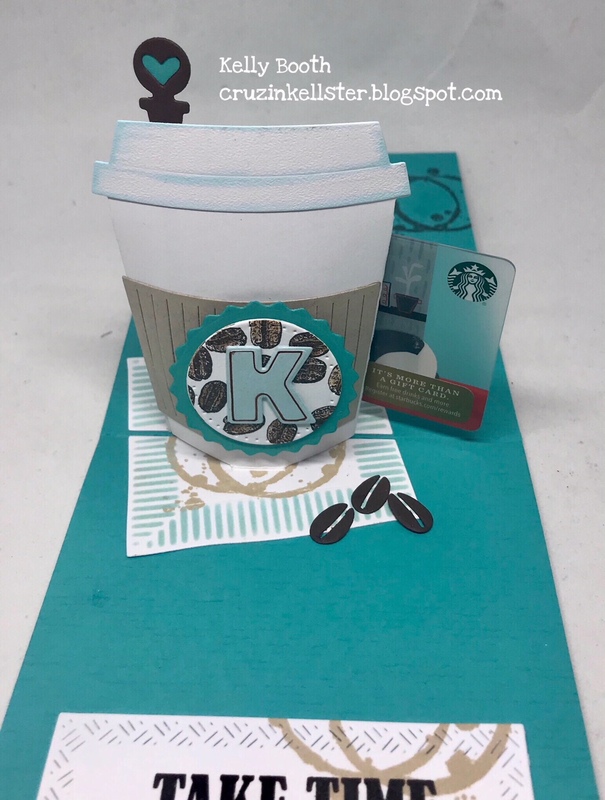 I am a big fan of coffee, so your coffee pop up card is wonderful! I love the color combo and surprise detail inside the card. Wonderful cards Kelly - and my favourite is the coffee pop-up! 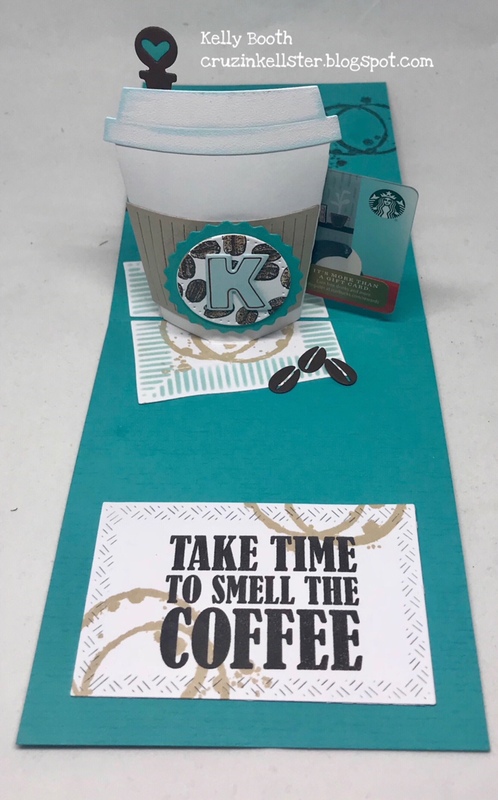 Thanks for all the inspiration, I love how wonderfully the coffee stamp and die can be paired together! your cards are so adorable! Love the dies and the stamps. Thanks for the inspiration. Very nice. Your painting/coloring is just awesome! It looks so real! Both cards are really nice. 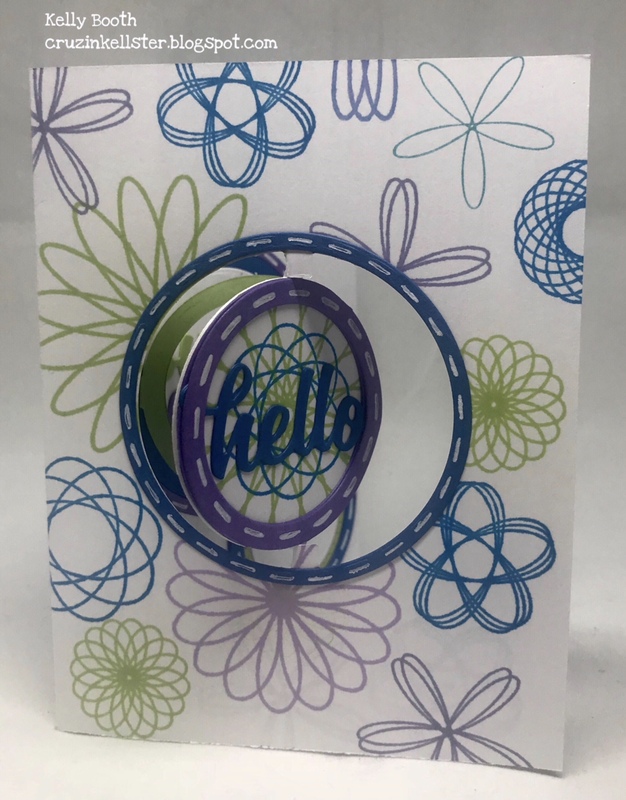 I love the SPIROGRAPH inspired card. Didn't know that Spirograph was so popular, my sister and I had one too. Had to share. Two fabulous cards! I LOVE the coffee themed card! What a great way to give a gift card! Kelly! I'm so glad I was reminded about the hop via your IG! I've been having so much fun checking out all of the projects. 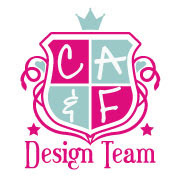 LOVE your designs...especially, of course, the coffee one! Thanks so much for the inspiration! As a coffee lover I do love the first card! Lots of awesome details. The second card is a beauty as well, lovely design! Such sweet cards! I have a few friends I would love to give these cards to. 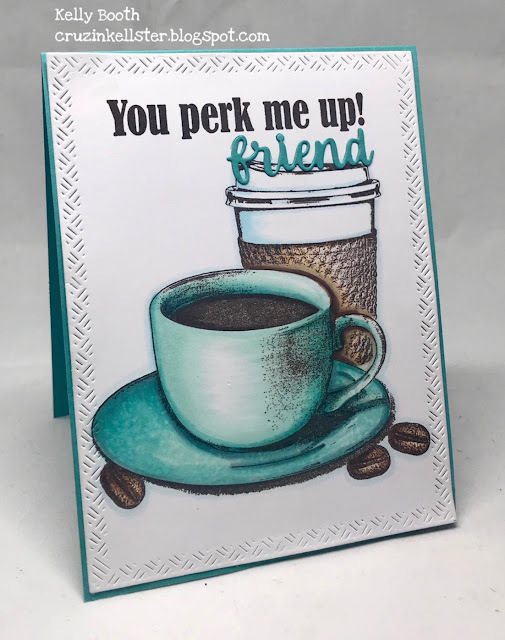 I'm not a fan of coffee cards but I love the you perk me up. What an awesome card to give to a special friend. Really loving the color combo and details on that coffee card. I really like the rings underneath it! cool cards , nice work!!! Shear perfection of pairing stamps and dies. Fabulous cards. I too loved playing with a Spirograph. There are many different dies that make pop up cards but this is so clever. Just what you would expect from Karen! Great card! Love these combinations of dies and stamps! Love both of these beauties! I’m a kid at heart who consumes copious amounts of coffee every day so your cards really nailed it for me! Thank you! These cards are sooo cute, now we just need a gift card in the coffee cup and it's complete! Yum!! Your coffee card is so beautiful and I love the way you colored it. Coffee time card is my favorite ! love the colors ! I love the Spirograph flowers! I love coffee! Thanks for sharing and good luck to all!! love these coffee stamps, great cards! I LOVE THIS COFFEE CARD! Wow! The colors are great! Great cards. The coffee card was my favorite. I love how you've used the crosshatch rectangle die on the coffee card and the surprise within! The circle element with the Spirograph design is so FUN! Great cards! Awesome cards, Kelly! The coffee cup is one of my favorite DD stamp sets and I love what you've created with it! Great Cards!! Especially love the spirograph detail on the 2nd one. The coffee pop up is so great! Great gift card holder for a coffee loving friend! Great Card. Love the coffee card, it's just amazing. OMGosh! so much luv for that coffee card!!! Amazing interactive cards! Such beautiful designs and lovely details. Love how you tucked in a gift card on the coffee card. Wonderful cards. My fave is the coffee one. Two absolutely gorgeous projects, so inspiring. My favorite is the coffee card! !